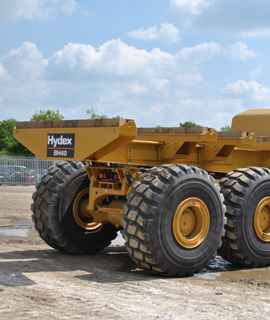 The Hydex BH40 Block Handler has been specifically designed to transport mining blocks around the site easily and safely. 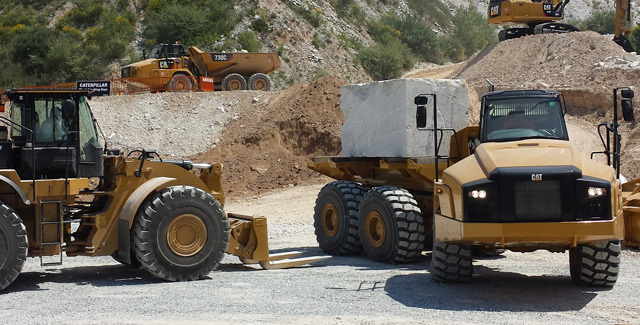 Built around the CAT® 740B ADT chassis, the BH40 enables operators to carry single or multiple blocks with a maximum payload of 42 tonnes, thus maximising productivity. Storage compartment for chains etc. Easy tipping for machine maintenance. Selection of cross support materials available to suit application.